While largely unknown to the general public, Rene Kokk has what it takes to win hearts and minds over at the Conservative People’s Party (EKRE). Kokk (39) is a Rapla County native – raised in the countryside and familiar with farm work. 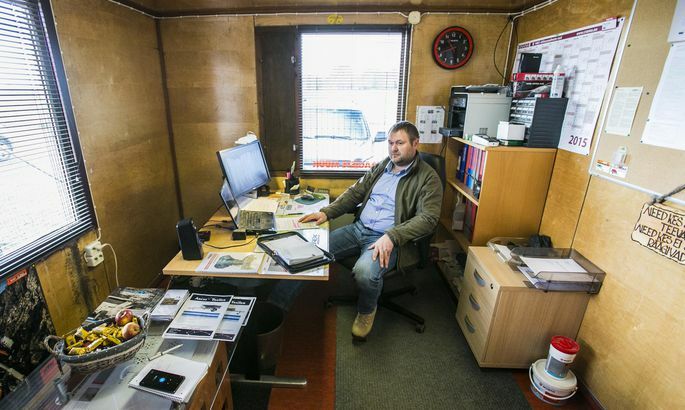 Despite the temptations of the nearby capital, Kokk has been a rural area entrepreneur, selling and renting trailers for years. When the road administration wanted to close its Rapla office a few years ago, Kokk was among the plan’s fiercest opponents. That boosted the unexperienced politician’s stock with the local community and earned him the respect of Rapla County businessmen. Kokk has also been an exemplary local politician. He joined EKRE in 2014 and was the creator of its Rapla branch that has now grown into one of the party’s strongest regions. Rapla was one of the few places where EKRE was included in the coalition after the 2017 local government council elections. Kokk secured the position of council chairman. The momentum was carried over to March Riigikogu elections that brought Kokk 1,500 votes, a seat in the Riigikogu and a likely portfolio down the line. It remains unclear what Kokk wants to achieve as environment minister. Many are eager to hear his opinion of the Paris climate accord. EKRE leader Mart Helme said a few months ago that he does not hold striving for the Paris targets important and that Estonia should consider abandoning the agreement. Kokk’s recent career has had little to do with environmental matters, and it is to be believed the decision to involve him in the government is part of EKRE’s long plan. Promoting outstanding local politicians should send a positive message to the party’s rural branches. The decision nevertheless raised questions among the party’s top brass as to the reasons for inviting an inexperienced politician to participate in negotiations with experienced partners. One such reason is Kokk’s loyalty to EKRE leaders. People who know him describe Kokk as trustworthy, loyal, hardworking and calm. It is said that Kokk has not been raised inside a cocoon and that he is not afraid of getting his hands dirty. What isn’t nearly as commonly known is the fact Kokk used to work as a ship guard on the Indian Ocean. Kokk kept a keen eye on the news when 14 Estonian ship guards were detained in India in 2013. The men included several of Kokk’s acquaintances, and he had also worked on the ship Seaman Guard Ohio in the past. Postimees did not manage to get much out of Kokk. The politician said that incoming ministers will give interviews on Wednesday as per an in-house agreement.